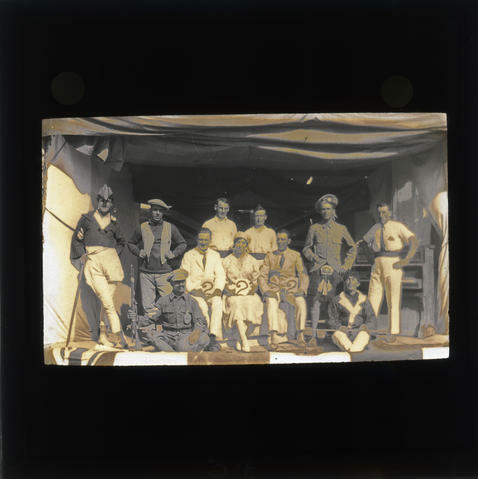 Item is a glass plate lantern slide of a group of people. Three of the people are each holding a card with a large number 2 on it. The photograph was likely taken in present-day Iraq between 1914 and 1918. Lantern slide was originally found in a wood box labelled "Box 1". Lantern slide is numbered as 34.